Styes also known as hordeolum are small, painful lumps which occur on the inside or on the outside of your eyelid. They are extremely common and the vast majority of people will experience a stye a few times during their lives. The lump that you see and feel is actually a type of pus-filled abscess which is typically caused by the staphylococcal bacteria. A sty can more often than not be seen on the eyelid’s surface but occasionally occur much deeper. External styes: start as a tiny spot near the eyelash. They then turn red causing a swelling and pain that can last for a few days before bursting and healing. The majority of external sties clear up of their own accord within a few days. Internal styes: which occur on the underside of the eyelid also cause pain, redness and swelling but their location means you do not see the familiar lump. This type of stye can disappear of its own accord after the infection gas cleared up or it can leave a fluid filled nodule that may persist. Styes are often confused with a similar looking lump on the eyelid called a chalazion. While they may look similar, chalazia are not caused by staph infection. They are usually painless, firm and smooth bumps appearing further away from the eyelid. A chalazion occurs as a reaction to the oily, gland secretions which couldn’t reach the lid’s surface owing to blockages in the duct. Pink eye or conjunctivitis is another common problem that affects the eyes. Whereas styes tend to cause pain and swelling to the affected areas. Pink eye causes more of an itching and burning sensation as well as a thick discharge. Another big difference is that conjunctivitis unlike a stye is highly contagious. If you have pink eye, hygiene is absolutely essential. Make sure that you wash your eyes thoroughly to stop it from spreading to other people. Blepharitis is another eye condition which causes a chronic inflammation to the eyelids. Although it is an entirely separate condition with different symptoms and causes, people who suffer from blepharitis are at greater risk of developing styes and chalazia. Both styes and chalazia are usually harmless and clear up in a fairly short space of time. They can however be very irritating and certainly unsightly. There are no creams or ointments that you can use to get rid of your stye and you should absolutely avoid irritating the eye by trying to burst the lump. For those of you that can not wait for nature to take its course, there are a number of effective, natural ways to get rid of your stye more quickly. As soon as you notice that a stye has developed on your eye, you should clean the area thoroughly before doing anything else. Make sure that your hands are absolutely clean before going any further. Next, get a cotton ball or cotton pad and soak it in clean, warm water. Squeeze out the excess liquid and apply it gently to the stye to clean the affected area. The most commonly recommended home treatment for a stye is to apply a warm compress several times a day. It helps relieve both the inflammation and pain and also helps the stye itself to heal more quickly. Make sure that you keep your eye closed when applying your compress. As the stye comes to its head, continue to apply the treatment several times a day to help stimulate the rupture. Again, do not squeeze the lump, allow it to burst in its own time. Soak a cloth or clean towel in clean warm water. Close your eye and hold the towel against your eye for ten minutes or so. Repeat this treatment several times each day until your stye has gone away. Green tea has well known healing powers and bags of green tea can easily be used to make a simple stye home remedy. Green tea works because of its excellent antioxidant and anti-inflammatory properties which can help promote healing and reduce irritation. Let a green tea bag steep in warm water for 5 minutes or so then squeeze out the excess liquid. When it is cool enough to tolerate, press it against your stye for five or so minutes. Repeat the process two or three times each day. Aloe vera is a great natural option for styes owing to its excellent anti-bacterial and anti-inflammatory abilities that help soothe irritation and speed up your healing. Cut a fresh aloe leaf then extract the gel. Remove said gel and rub it into the stye or simply use the leaf to apply the gel. Allow the gel to work its magic for 20 minutes or so before rinsing it off with clean, warm water. You can safely repeat the process twice a day until the stye has disappeared. Guava leaves have natural healing properties that many people have found effective in getting rid of their styes. The anti-inflammatory nature of the leaves help alleviate swelling, irritation and redness. The best way to apply guava leaves is in the form of a compress. Soak a towel or washcloth in warm water and ring it out. Wrap a few guava leaves in the cloth then place it over your eye. Keep the compress in place for at least ten minutes. Repeat the process several times each day for as long as necessary. Recent research has started to inform us just how valuable that this spice actually is. It contains a compound called curcumin that has wonderful antibacterial and anti-inflammatory properties which benefit the skin and overall health. 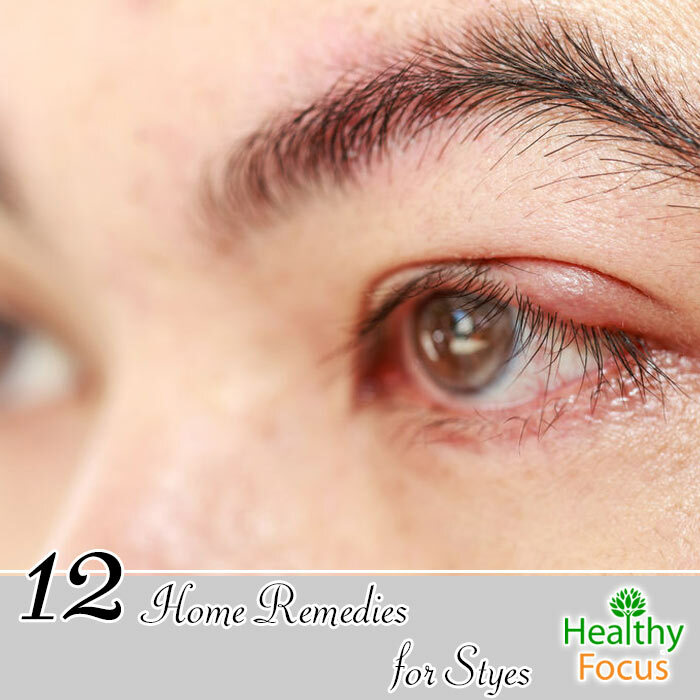 The same properties can be put to good use to treat your stye and any irritating symptoms. Add a tablespoon of your turmeric powder to 2 mugs of water and stir. Put the mixture in a pan and boil until it has reduced by about a half. Allow it to cool and then dip a cotton pad into the mixture. Apply the pad to your eye two or three times a day. Sounds a bit odd doesn’t it? But applying potatoes to your eyes can actually help get rid of a stye and help maintain your skin’s health. Potatoes have astringent actions that help the skin to contract and actually ease pain and irritation. Simply slice your potatoes and apply the slice directly to your eye in the same way that you would use your cucumber slices. Alternatively, grate up your potato, mash it as finely as possible and spread the mash over a cloth. Apply the cloth to your eye and hold in place for a few minutes. Anybody that has ever wanted to get rid of puffy eyes the morning after a night out may have turned to cucumbers as a remedy. They could not be easier to use and can do wonders not just for that morning after puffiness but also your stye. Simply slice a few cucumbers into circles and put them in the fridge to cool. Apply the slices against your affected eye and sit back. Repeat this process a few times each day and you should find relief from itching, redness and the stye will hopefully disappear for good. READ Can Food Boost Serotonin? Cloves taste and smell great and most people know they are good for oral health and toothache but did you know you could also use them to treat a stye? Soak 5 or 6 cloves in water for at least 10 minutes to extract the healing goodness. Strain the cloves out then dip a cotton pad or ball in the water. Squeeze the excess liquid out and hold the pad against your eye for 5 minutes or so. Repeat several times each day until your stye has gone. Whenever you have a stye, the immediate concern is to keep the eyelids and surrounding area free of irritants, dirt and dust. Washing your eye with a soft acting baby shampoo can help you do this. Add just a couple of drops of baby shampoo into a glass of warm water then mix to dilute. Dip a cotton pad or ball into the liquid. Use the pad to wash your affected eyelid gently paying very close attention to the stye. Rinse away and repeat daily. The ricinoleic acid contained by good old castor oil has excellent anti-inflammatory properties which is why the oil is used to treat so many skin conditions. Cleanse your eye with warm water or baby shampoo. Dip a cotton pad into your castor oil then apply it to the stye a few time a day. Coriander seeds are a time honored remedy for styes owing to their outstanding anti-inflammatory ability. They can help relieve irritation and reduce swelling and pain. Add a tsp coriander seeds into a cup full of water and then bring the mixture to the boil. Simmer for a few minutes then take it off the heat. Allow to cool. Strain then dip a cotton pad in the solution. Use the pad to wash the eye several times each day. We certainly hope that one of these remedies prove as effective for you as they have proven for others. If you have another remedy that we have not mentioned, please let us know, Good luck and we would love to hear from you.